We are living in the greatest story ever told, God's story of love and His plan for redemption. This grand narrative is larger than us, but it includes us nonetheless. The story is not about us, however, it is about the love of God in His son Jesus. According to The Drama of Scripture, this story is broken into six main parts: God's establishment of the kingdom in creation, rebellion of the kingdom in the fall of humanity, The King chooses Israel and redemption begins, the coming of The King, Jesus' redemption of His people, spreading the news of The King, and the return of The King, God's redemption completed. While the Bible is composed of 66 individual books, 39 in the Old Testament and 27 in the New Testament, the Bible is a single narrative, a unified story. There is a "big picture" in the scriptures. We tend to only see the Old and New Testaments and individual books, but the Bible is a "Whole Testament." Scripture is a meta-narrative. N.T. Wright calls this "The whole sweep of scripture." 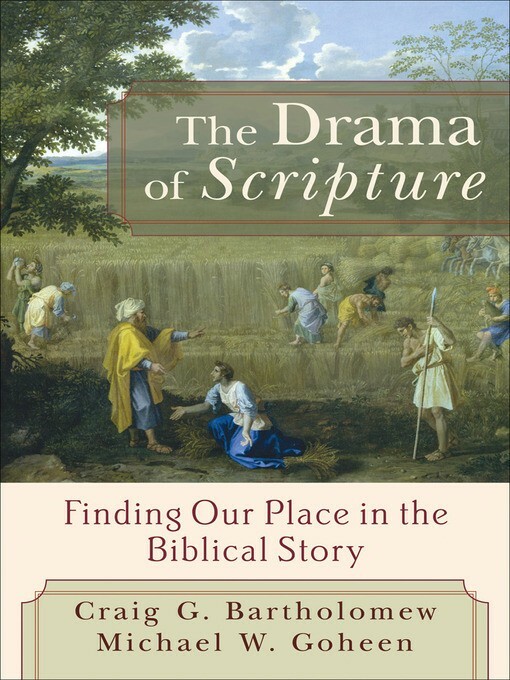 In looking at this overarching survey of the scriptures, The Drama of Scripture is a well done, simple, and straightforward resource. The book also suggests a complimentary website filled with Power Points and other resources for teaching the book and communicating the "grand narrative" of scripture in six acts. The book and the website outlines the whole Biblical narrative in an easy to understand and comprehensive presentation. We are living in this great story because of the Great Storyteller God. 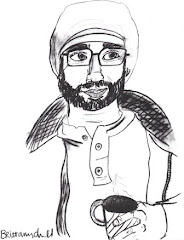 As G.K. Chesterton wrote, "I had always felt life first as a story and if there is a story there is a storyteller." We have a greater understanding of the Storyteller by looking at the story we are in through the scriptures. And the closer we get to the Storyteller, the clearer His story becomes. 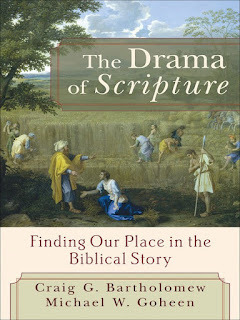 The Drama of Scripture and its companion website are exciting resources, which aid us in studying The Storyteller and His great story found in the scriptures. This review was adapted from my blog, My Two Mites, and was also posted on Amazon.com, goodreads, and on Examiner.com.